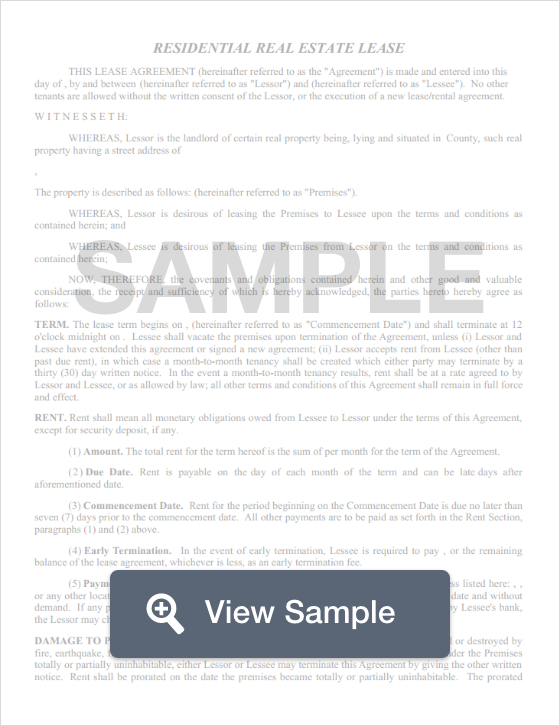 Create a Connecticut Lease Agreement with our attorney-drafted template! What Is a Connecticut Lease Agreement? A Connecticut lease agreement is a legal document between the landlord and the tenant for the named property. The landlord agrees to allow the tenant to use the property for a specific purpose and for a specific amount of time provided that the tenant pays a certain amount of money and abides by other obligations listed in the lease. The most commonly used Connecticut lease agreements include commercial, standard residential, month-to-month, lease to own, roommate agreement, and a sublease agreement. 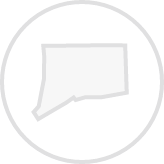 All Connecticut lease agreements are subject to state law. The date of the Connecticut lease agreement was drafted. Whether the lease is for a house or apartment. The street address, city, state, and zip code of the property. Whether there is parking included. The term of the lease. For example, is the lease an annual lease or is it month-to-month? You'll want to include the date the lease starts and when it ends. The amount of the rent, when it is due, and how it should be paid. The amount of any late fee if the rent is late. How the premises may be used, the number of guests, and how long any guests will be allowed to stay. Whether pets are allowed. If so, the lease should explain if there are any restrictions and if there is a pet deposit. The obligations of the tenant as related to the condition of the premises. For example, is the tenant responsible for keeping the walkways free of obstructions or snow? When the landlord may enter the premises. The utilities that the tenant is required to pay. Whether the tenant can make changes or improvements to the property. If so, who will pay for the changes? What the landlord is responsible to handle in regards for the property. What the tenant will be reimbursed for. Whether the tenant is responsible for carrying insurance. How the lease may be terminated. A dated signature from both the landlord and the tenant. What Disclosures Belong in a Connecticut Lease Agreement? Whether the residence is part of a common interest community. The identity of any person who is an authorized agent of the landlord. Their address must also be included for legal notice. A copy of The Rights and Responsibilities of Landlords and Tenants in CT.
Access to the property. The landlord is required to give reasonable notice to the tenant for access for repairs, inspection, or showing the property. In addition to the disclosures required by state law, there is a federal disclosure for lead-based paint that is required if a housing unit was built before 1978. According to Connecticut law, the landlord cannot charge more than two months' rent as a security deposit from persons under the age of 62 years. For those 62 years and older, the landlord may not charge more than one' month of rent for a security deposit. Security deposits must be returned, along with any accrued interest, within 30 days of the landlord reclaiming the property or within 15 days of receiving a forwarding address, whichever is later. Create a free Connecticut Lease Agreement in minutes with our professional document builder.